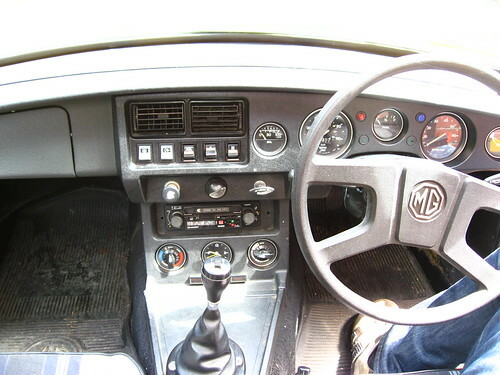 The centre console, currently known as 'stuff that probably belongs to the loose wires in the engine bay'. So far we know that the passenger-side headlights and indicator don't work, or does the heater. Looks like the fog light and rear window heater were added on later judging by the colour of the switches. I do like these type of switches as opposed to the push-button ones you get in modern cars - flippy switches have a much more tactile feedback. And you've got to love that radio.